After a shaky start that included bogeys at the second and third holes, Woods recovered with back-to-back birdies. 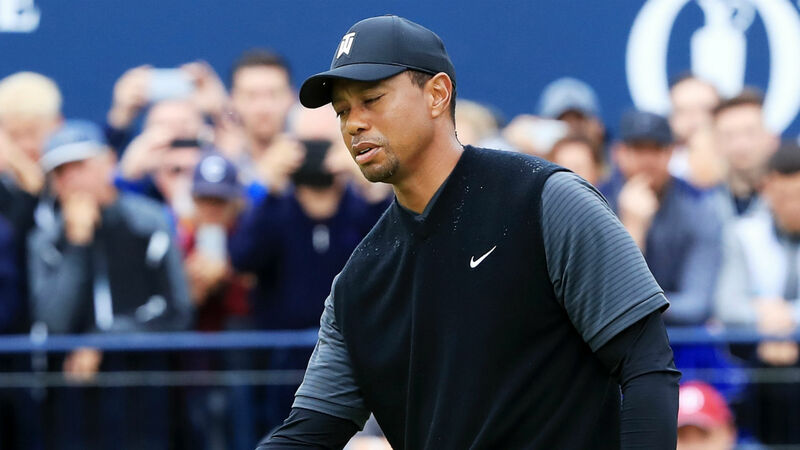 Two more dropped shots and two more birdies followed amid wetter conditions at Carnoustie earlier in the day on Friday, and Woods felt he left some shots out on the course. “I could have cleaned up the round just a little bit. I got off to not exactly the best start, being 2 over through three, but got it back,” he said. Woods’ bogey at the second was a result of going right off the tee and his follow-up shot from an awkward stance veered toward the nearby spectators. Asked if there was any trepidation about taking on the shot, Woods answered: “I kept moving them back. If you noticed, I moved them back about 40 yards. “Yeah, I was trying to play for the grass to wrap the shaft around there, and I was just trying to hold the face open as much as I possibly could.